One of the most utilized, versatile, and recognizable vehicles on the planet, the HMMWV or “Humvee” has been produced over the past 30 years and features more than a dozen different variations. Ranging from troop carriers and ambulances to weapons support, over 180,000 Humvees have been produced by AM General in South Bend, Indiana. Deployed in places like Iraq and Afghanistan, the Humvee has performed in military conflicts across the world, a common sight wherever American military forces are present. In combat situations, the Humvee can be equipped with everything from machine guns to antitank missiles. Armored versions have been introduced to provide soldiers with proper protection against enemy IEDs (Improvised Explosive Device). This version of the Humvee is often seen on ships like the USS Makin Island when deployed with a Marine Expeditionary Unit (MEU). 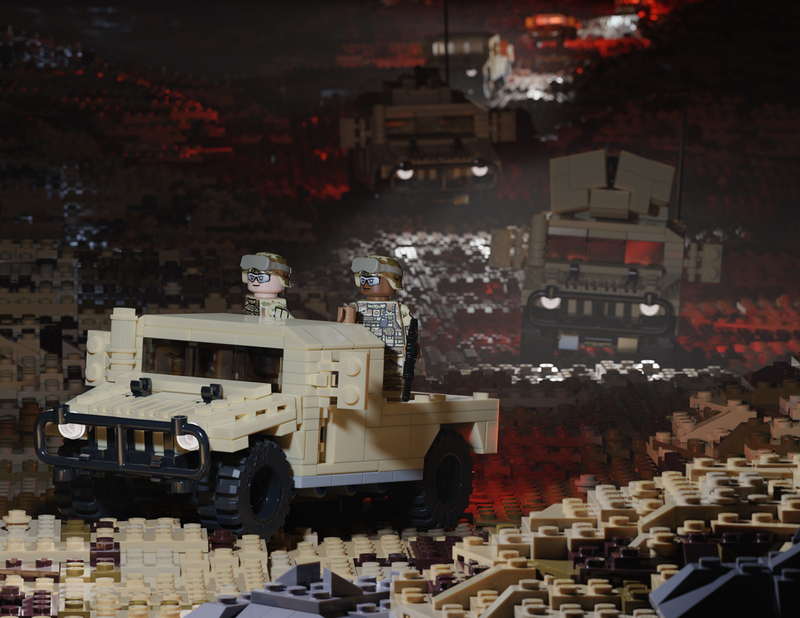 The updated Brickmania HMMWV features the tan coloring of the ubiquitous utility vehicle. It includes all elements seen on the Marine Corps version including opening doors and tailgate, easy interior access, brushguard, and snorkel. Several add-on packs are available to up the armor and firepower of your Humvee.